Near Henley-on-Thames, this Grade II listed former rectory has been beautifully remodelled by interior and architectural designer Ben Pentreath. 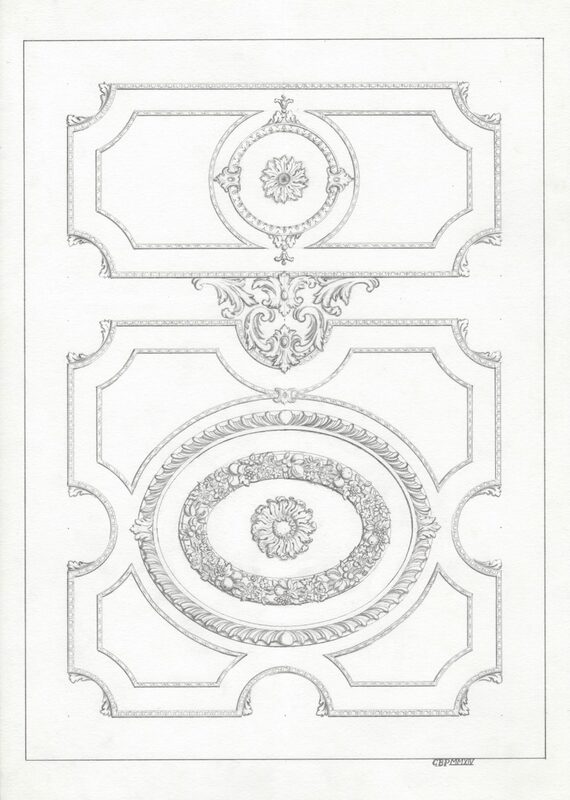 We were commissioned to design and make a new staircase hall ceiling in an early Georgian style. The new staircase hall ceiling. 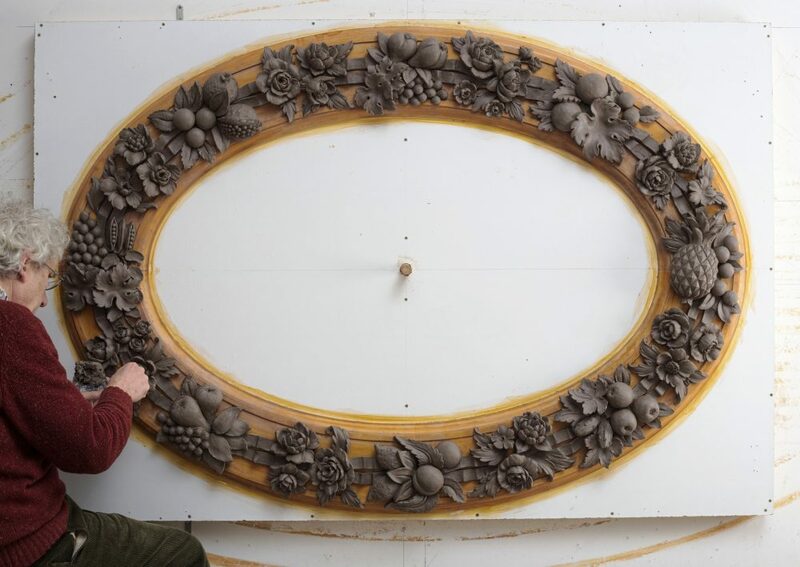 It includes egg & dart, ribbon & flower mouldings as well as the gadroon and flower ellipse. 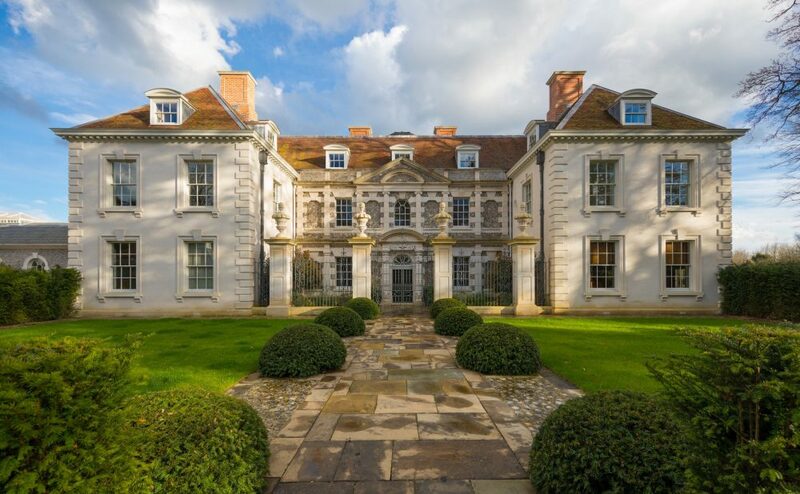 As part of Ben’s remodeling work, two fine new wings were added and a muddle of later additions were removed, transforming the building into a significant country house. The interiors are elegant and serene. The west wing contains a new staircase hall with a handsome carved oak stair rising to the first floor. Natural light floods into the room through two full height arched windows. 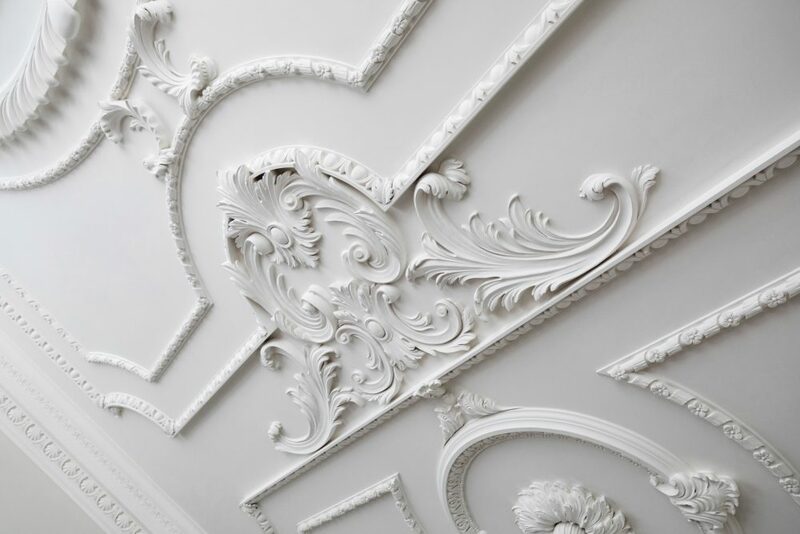 Our brief was to create a ceiling with the air of English, early Georgian plasterwork, taking the National Trust’s Mompesson House in Salisbury a starting point. Geoffrey’s design echoes the two areas of the room; the main space of the stair, and the first floor corridor. 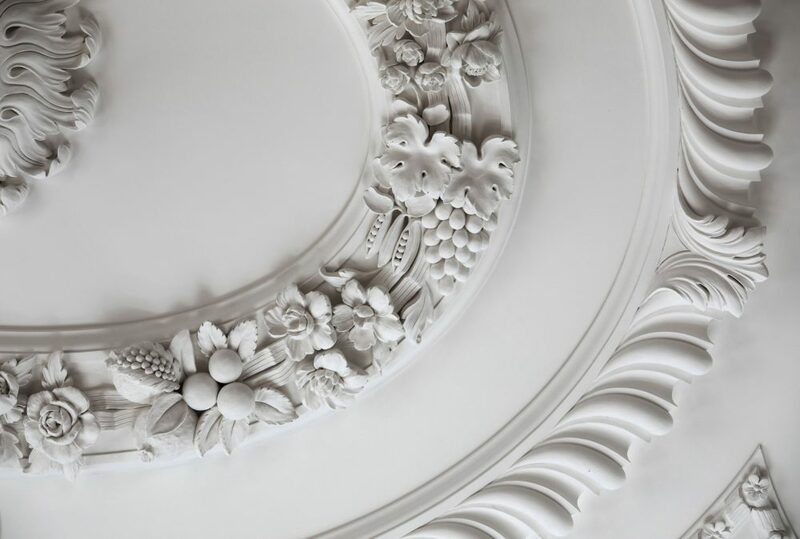 The flower ellipse is the centrepiece of the ceiling and reflects the room’s status as the garden entrance to the house. The flowers were inspired by depictions of flowers in Rococo sculpture and painting, and the fruit was informed by the painted illustrations in an old edition of The Oxford Book of Food Plants. Other elements in the design include patterns typical of the period, such as the wonderfully sculptural gadroon moulding, the ribbon and flower, and the egg and dart. 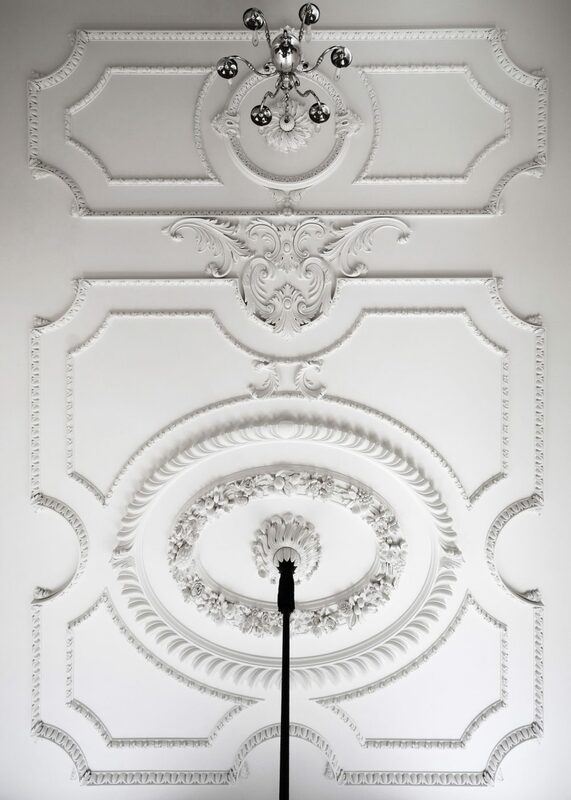 The design has a formality about it, with its serried ranks of mouldings, but the dynamic shape of the ellipses and the liveliness of the modelling give the ceiling a vitality that is very pleasing. 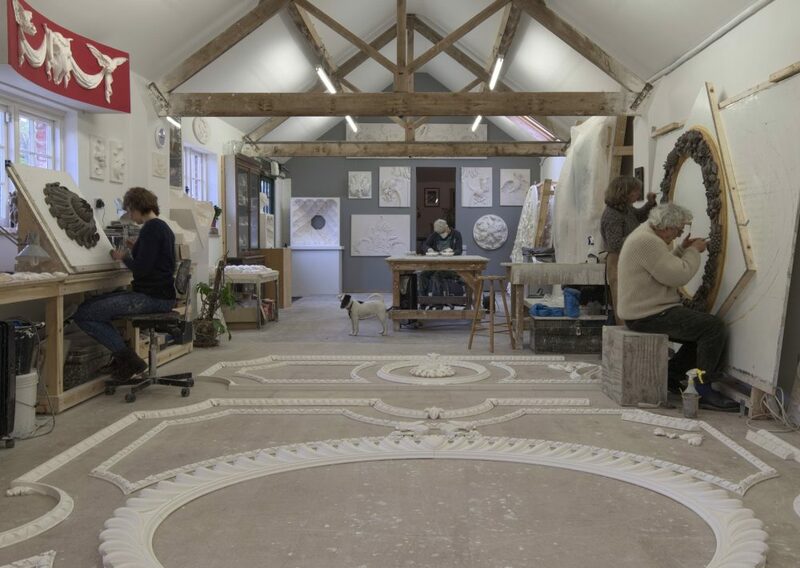 The ceiling was modelled, moulded and cast by a team of five sculptors in our workshop. Symm were the project builders, and Bristol based company Hayles & Howe installed the ceiling for us. 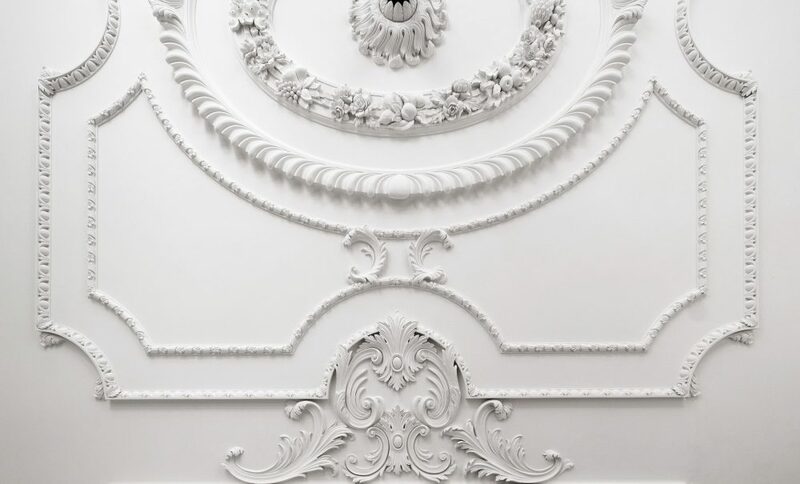 The cornices were from Stevensons of Norwich National Trust cornice range. Ben Pentreath and his team were a complete delight to work with, as were the owners, and we hope they get as much pleasure looking at their new ceiling as we did in making it. There’s more about the house on Ben’s website here.